Alepo’s BSS solution and managed services will enable Amara to quickly launch innovative LTE and FTTx services to maximize return on the multi-network investment. Alepo will enable Amara to bring the most advanced 4G LTE data and FTTx services to Myanmar, yielding contextual and personal subscriber data experiences. Tuesday, April 11, 2017, Austin, TX – Alepo (www.alepo.com) – a global provider of core network and IT software solutions for communications service providers, announced today that Amara Communications will launch a new 4G LTE and fiber-to-the-subscriber (FTTx) network with Alepo’s complete BSS solution, ERP and Managed Services Offering (MSO), in Myanmar. Amara, a new entrant to the burgeoning Myanmar telecom market, turned to Alepo for their expertise in launching successful networks. Alepo has a rich experience assisting new service providers globally, with experts specialized in managing day to day operations, identifying pain points, and providing stop gaps. Alepo’s MSO experts will work with Amara to achieve optimized productivity in their business and network IT operations. With Alepo’s solution, Amara Communications aims for a swift rollout of new 4G LTE data and FTTx services with advanced customer experience for high-end residential and enterprise customers throughout Myanmar. Alepo will enable Amara to offer customers a range of prepaid and postpaid LTE and fiber broadband data plans, as well as innovative data offers and promotions, such as: tiered service levels, zero rating, volume and time based quotas, and QoS based plans. Alepo’s signature BSS solution will improve Amara’s innovation and creativity by allowing it to launch new multimedia content to differentiate itself in the market and create greater business value. 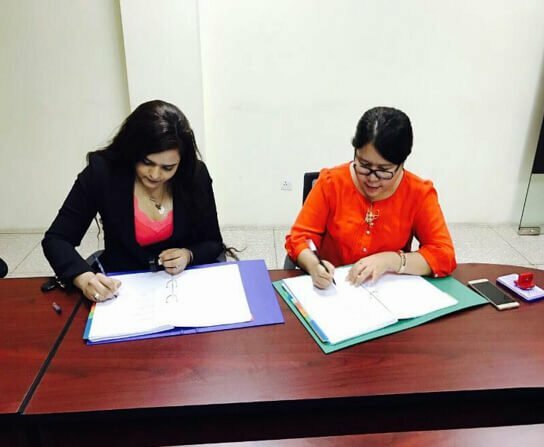 “We are proud to be supporting Amara Communications as they embark on a path to launch LTE and FTTx services, and we are confident that our solution provides them with the tools necessary to rapidly expand their customer base and increase market share in Myanmar,” said Shivani Sardesai, Technical Director at Alepo. About Amara Communications Co., Ltd.
Amara Communications Co., Ltd. (ACS) is subsidiary of the International Group of Entrepreneurs (IGE) Group of Companies. IGE Group of Companies is a large Myanmar conglomerate with a diverse portfolio of businesses, including trade, real estate, construction, energy, financial services, hospitality, and telecommunications. IGE is one of Myanmar’s 5 largest conglomerates, possessing 8 subsidiaries that employ more than 4,000 people. ACS is a Network Facilities Service Individual (NFSI) License holder and works with a range of reputable business partners, including MPT, Yatanarpon Teleport (YTP), Myanmar National Telecom Holding Public Limited (MNTH), Ooredoo, Telenor, Huawei, Ericsson, and ZTE. In October 2016, ACS won the 2.6 GHz spectrum auction to provide 4G broadband internet service for regions 2 (Yangon, Ayeyarwaddy, Rakhine) and 3 (Mandalay, Sagine, Shan, Kachin, Chin) in Myanmar. ACS is aiming to provide wireless broadband service with a 4G LTE network (nomadic and stationary). Services include video-on-demand, VoIP, gaming portals, entertainment hubs, and customize business solutions.